Since our move to Vermont, I’ve been dreaming of maple syrup, and thinking ahead to what we need to get ready for backyard sugaring season. Back in Missouri, we tapped the trees available to us: black walnuts. Black walnut tree sap makes a delicious syrup with a woodsy, earthy, nutty flavor, but I really prefer the clean, bright sweetness of maple syrup for baking and cooking. Fortunately, we are renting a property that has a small sugarbush of mature sugar maples. Right now, we’re preparing the supplies we’ll need to tap our backyard trees. 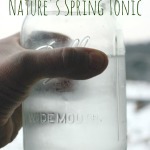 In this post, I teamed up with Vermont Evaporator Company to help you get ready now so you can head into sugaring season ready to make syrup! What Trees Can I Tap for Syrup? 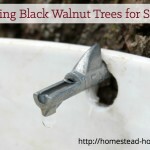 In addition to Black Walnut, you can tap other members of the walnut family, including Butternut (Juglans cinerea) and English Walnut (Juglans regis). Birch trees can also be tapped for syrup, but, according to Michael Farrell in The Sugarmaker’s Companion, unless you first use a reverse osmosis process to remove some of the water content before the sap is boiled, the result will be a very intense, strongly flavored syrup. This list of tappable trees is not exhaustive, but will certainly get you started! The next step to get ready for sugaring season is to identify the individual trees that you will tap. 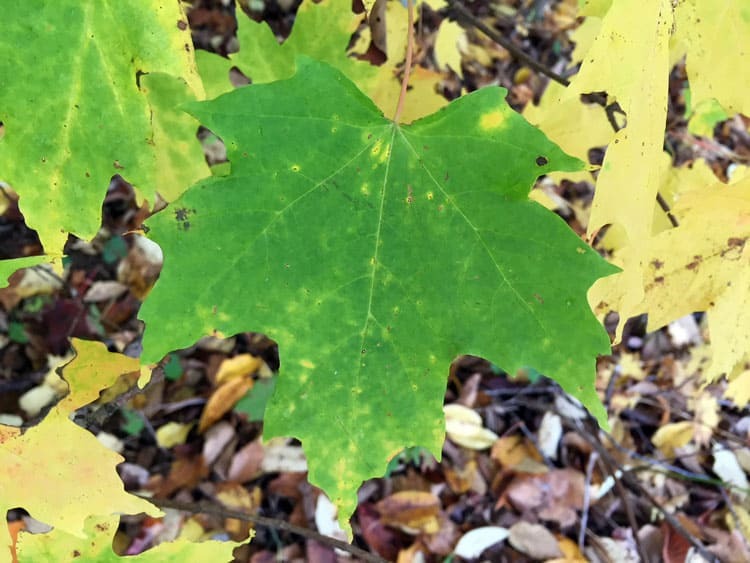 Look for trees that are at least 10” in diameter and – here is the most important part – flag them when they are leafed out! Unless you are very highly adept at identifying trees by bark alone, wandering through the forest in winter to identify tappable trees is going to present a huge challenge! Take the opportunity now, while there are still leaves on the tree, to identify the tree by leaf and bark. I like to wrap some bright orange flagging tape around the tree at breast height so I can easily spot the tree from a distance. Autumn is a great time to make your sugaring supply list and check it twice! 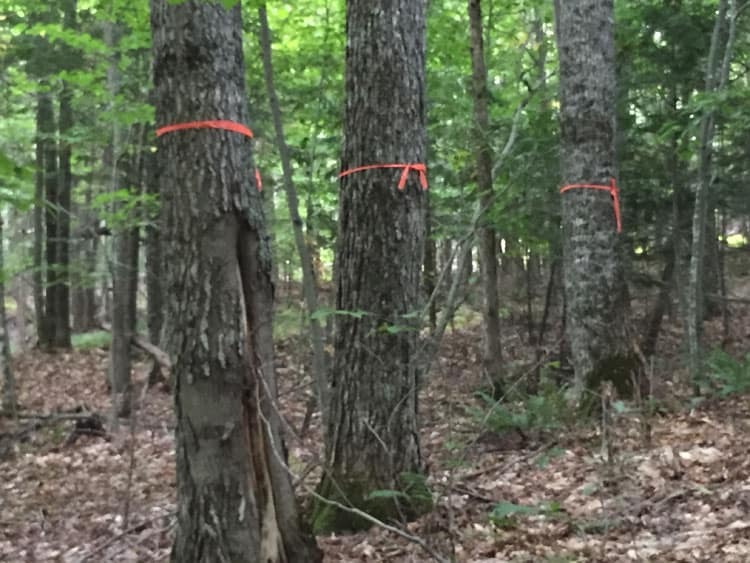 While commercial operations rely on vast tubing systems to collect sap and transport it to the sugarhouse, if you’re tapping a small number of trees you can make do with a few simple supplies, some of which you may already have. You definitely don’t want to be caught at the start of sugaring season with too few buckets! 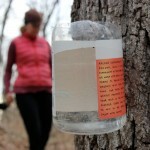 In an ideal world, you would have an easy-to-access sugar bush within close walking distance of your house, but the reality is that you may have to think ahead about how you will collect your sap and transport it to the spot where you will be evaporating, or boiling down the water content of the sap. In Missouri, our black walnut trees were located on the north side of our property, down a steep hill. We were able to access most of them by a well worn walking path, but some required bushwhacking. Here in Vermont, our rental sits at the top of a beautiful hill, and the sugarbush is – you guessed it – near the bottom of the slope! We will need to do some trail clearing to be able to easily reach the mature maples, which we can work on over the next few months. The final piece of the syrup-making puzzle is to consider how you will evaporate the sap to make syrup. It takes 40 gallons of maple sap to make one gallon of syrup, so you’ll be boiling down a lot of liquid! In our early days of tapping, we used a large canning pot over a three stone fire. 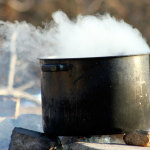 It worked great, but we were limited to boiling no more than five gallons of sap at a time. 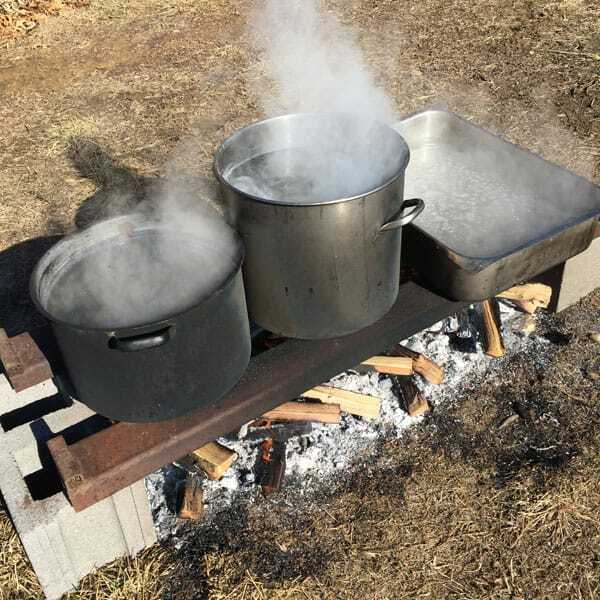 Last year we elevated our evaporation process to multiple pots and a hotel pan set upon metal pieces that were supported by cinder blocks over an open fire. 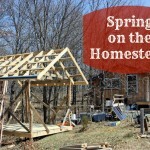 This was a much more efficient process, as we could build up a large fire and boil many gallons of sap at one time. This year, we will be using an evaporator from Vermont Evaporator Company. They sell evaporators for backyard sugaring enthusiasts that are tapping between 5 and 50 trees. In other words, most of us home syrup makers! Their Sapling model is a continuous flow evaporator, meaning that sap is channeled around the pan using dividers to create an efficient process that allows more syrup made with less effort and time. Whatever your evaporation system, you will need to have plenty of fuel (wood or propane) and a dedicated space. We have always worked outdoors, hoping for good weather, but if you have an outbuilding with adequate ventilation for the vast amounts of steam created by the evaporation process, then by all means, keep yourselves covered! Backyard sugaring has become a seasonal ritual for our family, one that brings us outdoors in the middle of winter, creating a joyous celebration of the coming spring that we look forward to each year. Taking the time to get ready for sugaring season now will lead to a stress-free experience (and lots of delicious syrup!). This is a sponsored post, in collaboration with Vermont Evaporator Company.